Before the Turkchem, our OKCHEM team visited ChemOrbis in Turkey, a professional platform providing plastics industry information and market intelligence, and hoped to look for cooperation possibilities to help the OKCHEM buyers and suppliers get the latest in-depth knowledge about the global plastic industry. ChemOrbis has been serving 70,000 companies and 100,000 professionals since its establishment in 2001 by providing market information, analysis tools, and conferences. With offices located at spot markets, ChemOrbis covers Far & South East Asian, Italian, Turkish, Middle Eastern, North&West African and NorthWest European markets on a daily basis, providing up-to-date and accurate market reports, concise weekly analysis, price indexes and the most recent industry news. It also organizes global petrochemicals conferences and workshops in Middle East, Europe, Africa and Asia where participants can learn latest developments & trends from industry experts while networking with business partners. In this visit, we met Mr. Mirza Kadic, the Business Development Director at ChemOrbis, and had a pleasant conversation. Mr. Mirza has been working in ChemOrbis for more than 17 years, and has rich experience in the global plastics trade and e-commerce. In this visit, he introduced ChemOrbis in details and we got to know that it could provide customized and the most up-to-date information for its members and the major products may include Polypropylene (PP), Polyvinyl Chloride (PVC), Polyethylene (PE), Polystyrene (PS), Polyethylene Terephthalate (PET), Acrylonitrile Butadiene, Styrene (ABS). Besides, it also has advantages in the multi-languages, including English, Italian, Chinese, Turkish, Spanish, Vietnamese, and Indonesian. Our team also made an introduction about our platform to Mr. Mirza, including how to become a supplier on OKCHEM, our difference from other B2B platforms in China, the plastic buyers and suppliers on OKCHEM and our overseas offices. Through this visit, we have reached an initial cooperation. 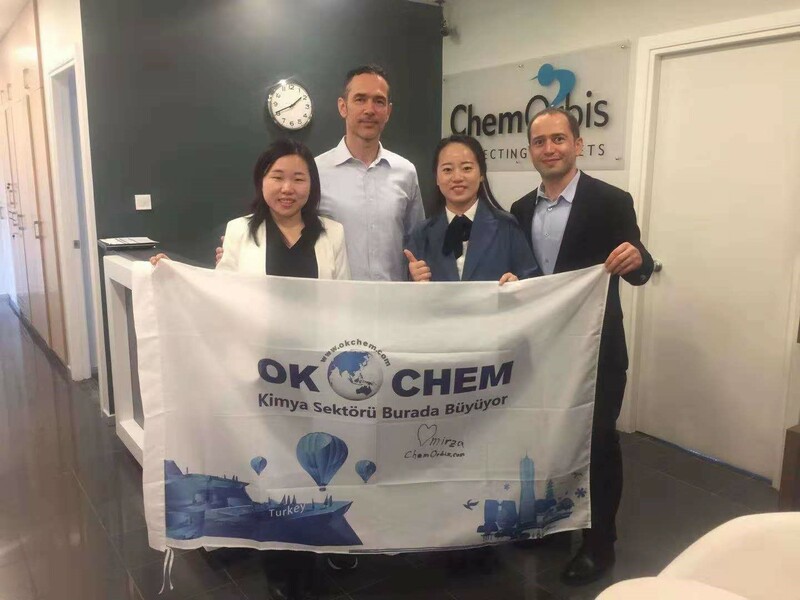 OKCHEM would exchange resources with ChemOrbis and help the plastic buyers and suppliers on OKCHEM get the latest industry insight and market analysis, thus to help them make winning decisions.